We are a family owned and operated business. 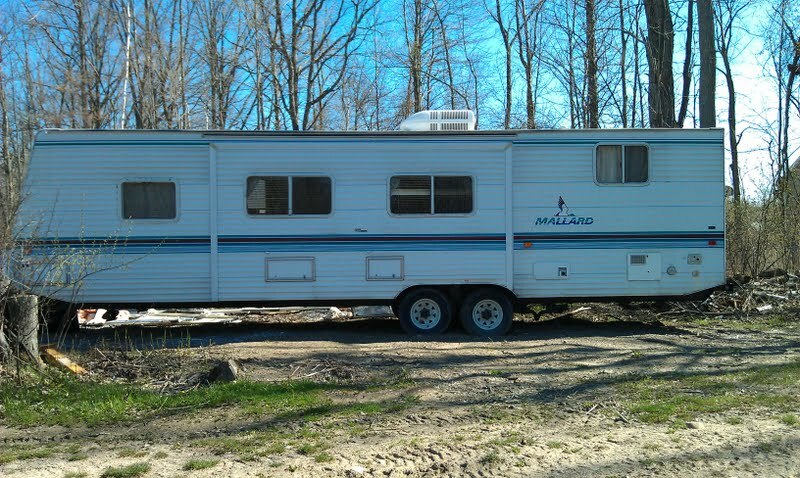 We at Michigan Family Time RV Rental want to make sure that your camping experience is something for you and your children to treasure as we have treasured our camping over the years. We will make every effort to make your experience as pleasurable as possible. Please feel free to call anytime to speak with us. We will be happy to answer any questions you may have. Click on the RENTAL UNITS page to see the RV's we have available for the 2017 camping season. Call soon to reserve your RV. The nice weather is here and gone before you know it and available dates are filling up. CALL SOON !!! Rent from us and get FREE delivery and pickup at Port Huron KOA. 10% Police,Fire and Military discount. Ruby waived if you if you rent for a week or longer !!!!! Dumping fee: Beginning 2014 we are charging a $35.00 fee to dump the holding tanks if you have a camp site without a sewer connection. We will not charge if you have a full hookup site. Click here to ad http://www.michiganrvdealers.com/ d text. Looking to purchase or rent an RV out of state please visit the RV dealer links listed in this section. - The most in depth, complete camping portal available online. Campground directory, rv dealers, camping trip ideas, printable packing checklists, campfire forum, discount camping and more. RV Lifestyle: Information and advice for the novice or experienced RVer. How to choose, afford and enjoy your RV lifestyle, with tips on campgrounds, fulltiming, RV buying, internet access, RV travel, RV clubs, working on the road, managing costs and RV living. We supply all of our vehicles with a starter kit to get you going. The kit includes some paper plates, plastic cups, dish soap, roll of toilet paper, roll of paper towel, frying pan and sauce pan, coffee maker, plastic cooking utensils and a small charcoal barbecue. Please click the link below for RV travel tips and resorts plus additional helpful information. 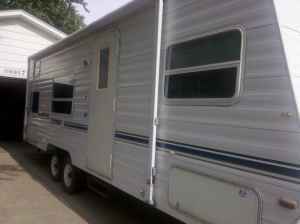 RV Rental , Camper Rental, Travel Trailer Rental. Serving all of Michigan : Detroit, Warren, Fraser, Roseville, Macomb, Wayne, Oakland , St Clair County, lapeer County, Sanilac County, Tuscola County and more. NO REFUNDS FOR CANCELLATIONS OR EARLY RETURNS. EXCEPTION: IF WE CANNOT PROVIDE A CAMPER FOR YOU WE WILL GLADLY REFUND YOUR MONEY, IF A CAMPER IS AVAILABLE WE WILL NOT REFUND YOUR MONEY. Please disregard any information from RV Share about our business. The information they have posted on the internet is not accurate. We do not control Rv Share. Sorry for the confusion.